Sending this on to Strude. Hope it's new to her. This was fun and I learned a few needlework things as well, but there's a colour missing from the graph key at the back. Fine, I'll choose one. Taking this to Burnaby meetup. It'll be below the tv if no one takes it. I found it! I likely picked up this book at a December meet-up and it got buried in a stack of books. It looks like a good read. Although I enjoyed the mystery, I haven't a clue about any of the needlework. It was a foreign language to me. 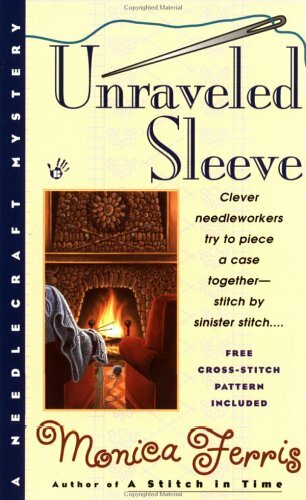 This is a great mystery for those who do needlework. After I got started I realized I'd read this story before, but it was fun to read again. Taking this to meet up. If no one takes it it'll be below the tv.